During a stay in San Diego we were walking the streets in and around the Gaslamp Quarter and caught an aroma that teased the senses. The aroma was coming from a doorway nearby and we had to stop to take it in…blueberry pancakes. Upon entering the Cheese Shop you can’t help but enjoy the smell. The blueberries seem thick in the air and easily make you hungry. 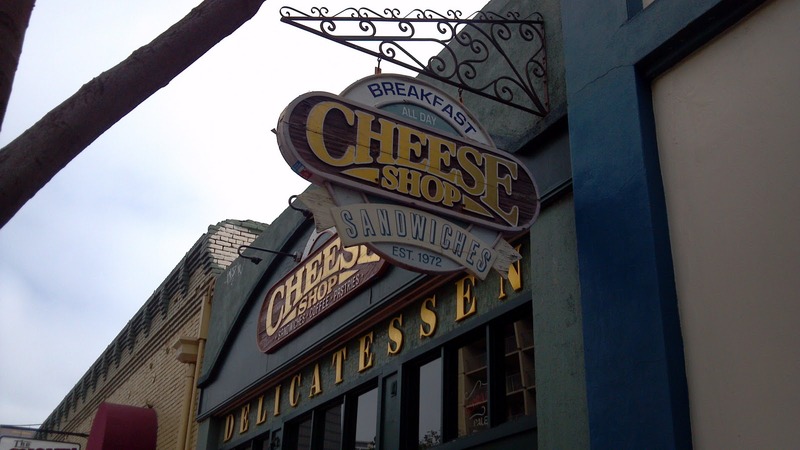 The original Cheese Shop was opened in 1972 but this location on 4th Avenue opened in 1997 and has been serving breakfast and lunch ever since. 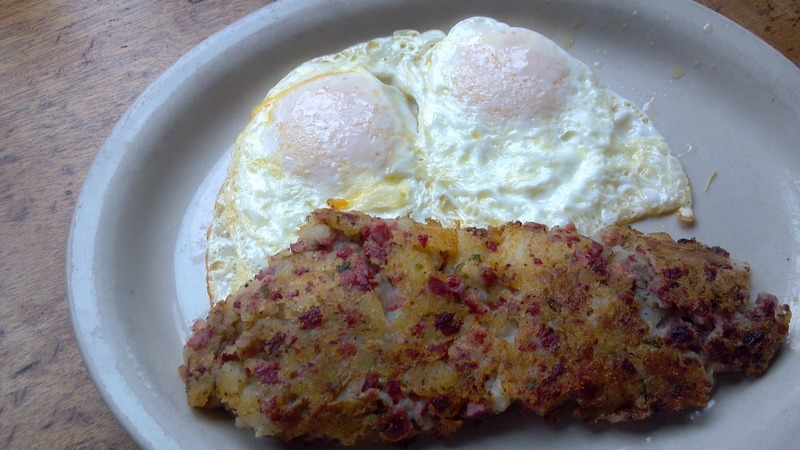 Breakfast is was for us for my wife and I. I opted for the homemade corned beef hash with two eggs over easy. 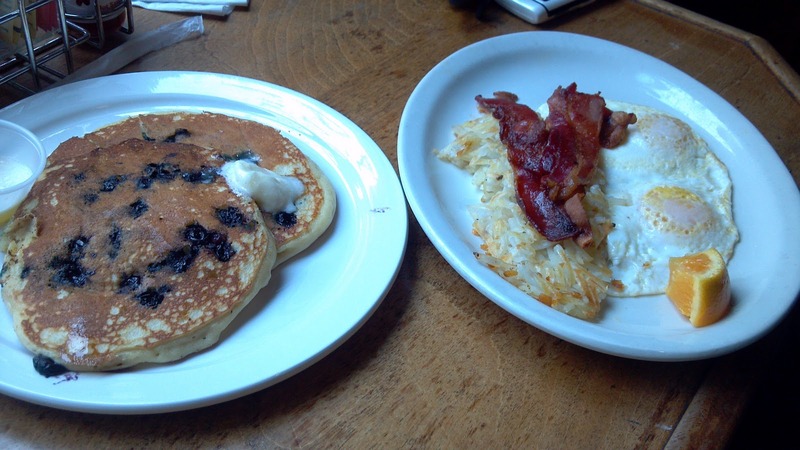 Her: the Breakfast Feast with two eggs, hashbrowns, bacon and of course the specialty, blueberry pancakes. This is a lot of food and fit for sharing. It was exactly what we wanted that morning. Well-seasoned hash with chunks of potato and beef, eggs cooked right, nicely browned hash browns and fluffy flavorful blueberry pancakes with a multitude of bluberries. If you read their Mission Statement they seem to live by it. “Exceed our customers expectations” is how it starts. And this they did. 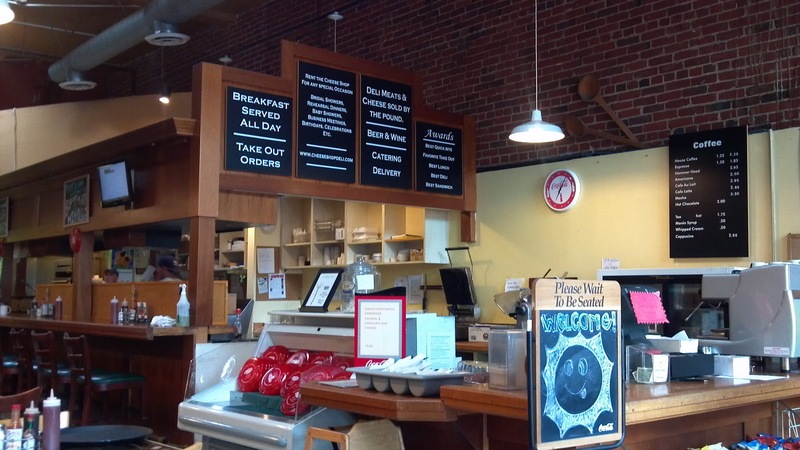 Cheese Shop offers a complete menu with specialty sandwiches, burgers, coffees and more. We’ll definitely be back and hope that when you visit San Diego you go out of your way to give this place a try.